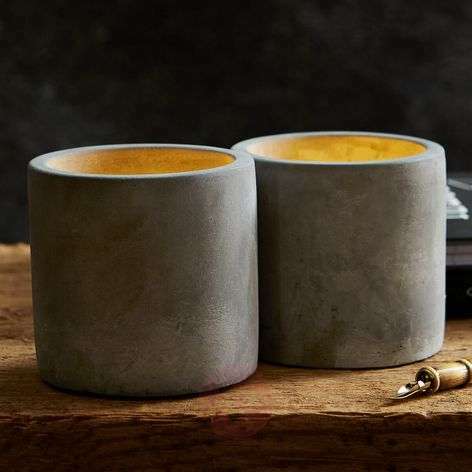 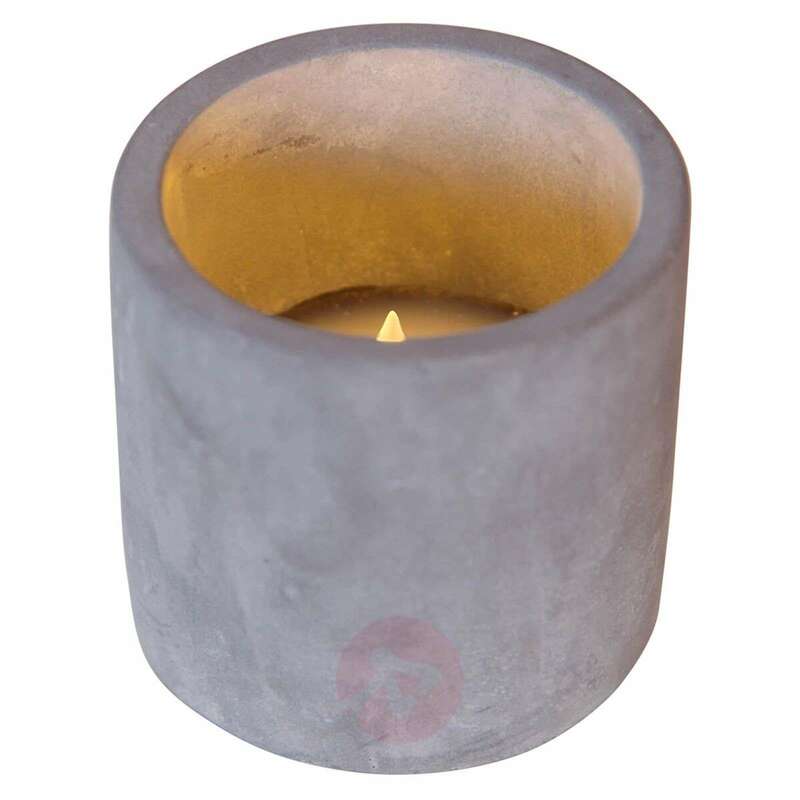 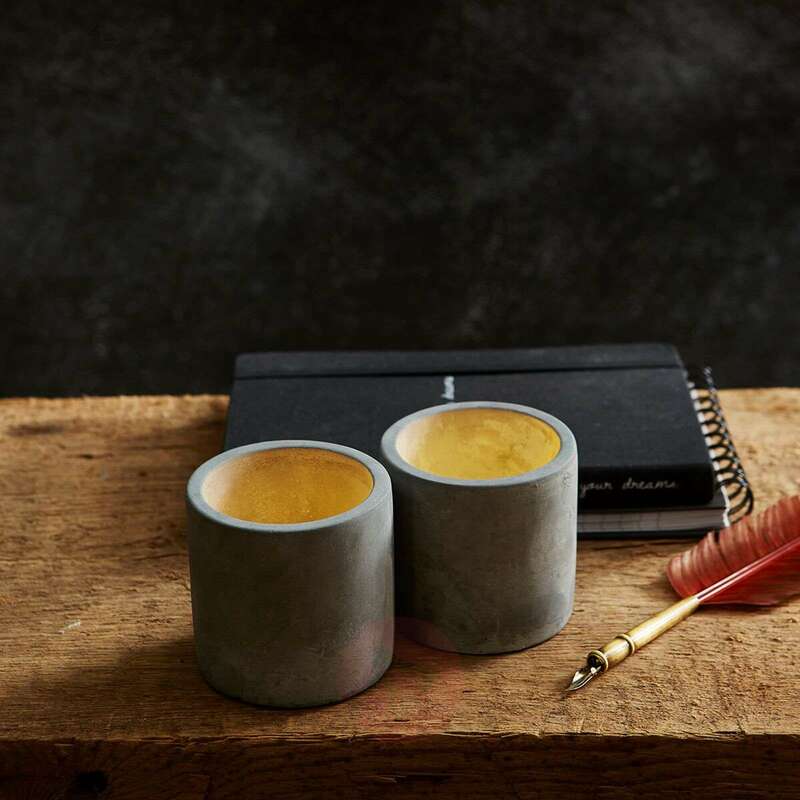 The candle duo Cemmy, which is perfect for atmospheric lighting in living spaces with a modern interior design due to its cement surface, has a very trendy appearance. 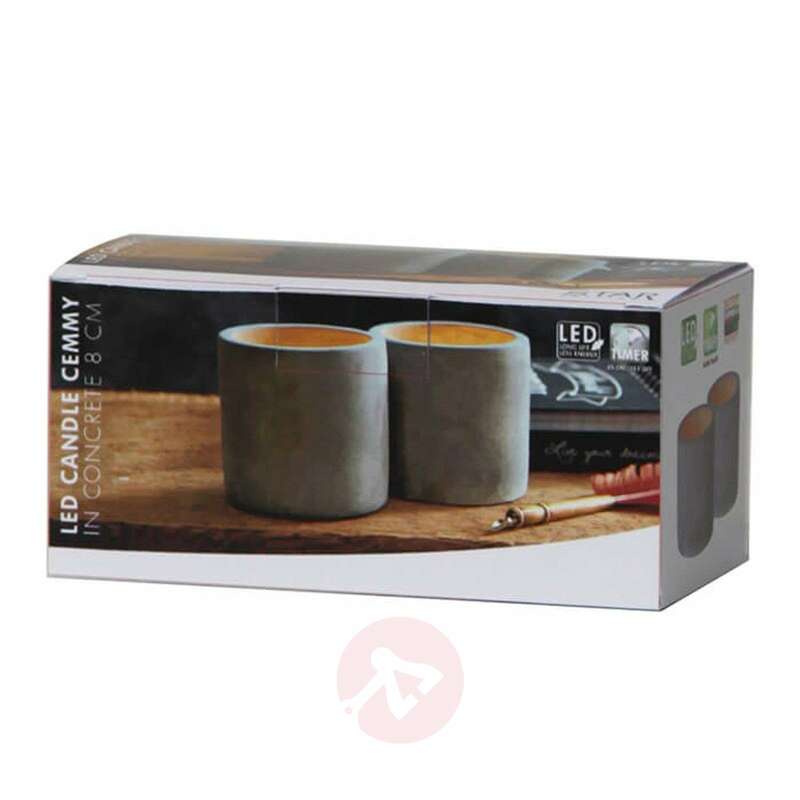 An integrated timer allows the candles to be turned on automatically for eight hours and then off again for 16 hours. Battery-powered: 4 x AAA. 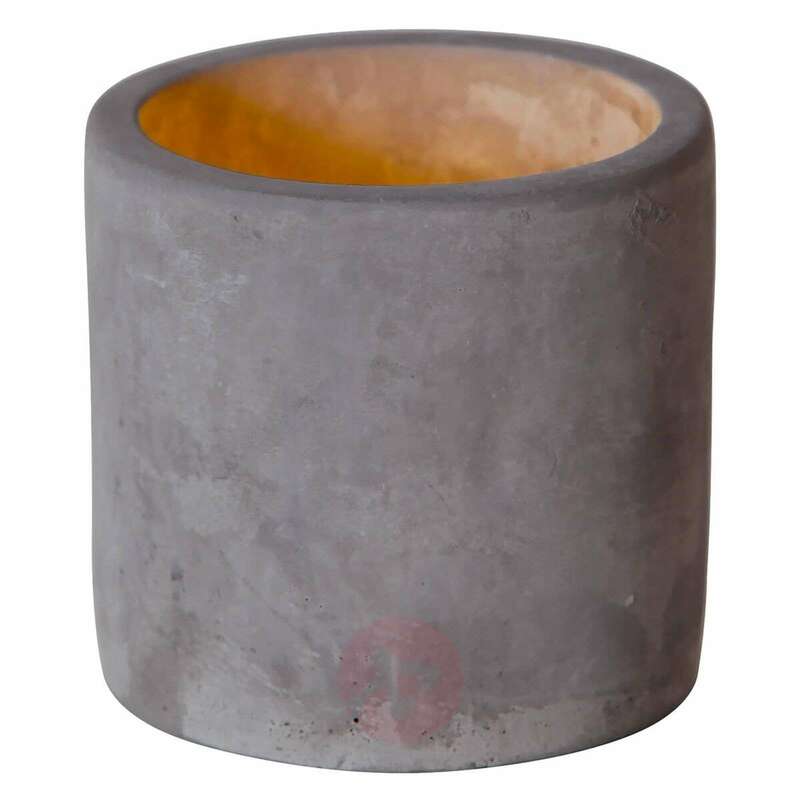 The batteries are not included; they can be ordered separately as accessories.